After splitting a four game series with the Pittsburgh Pirates and a day off, the New York Mets play a short two game series against the Washington Nationals. The Mets have been better in the second half as they have gone 5-4 since the All-Star break. The Nationals have struggled to get out of their own way and they currently sit at 52-53. The Mets have won six of the ten games against the Nats this season. After news of the Mets holding on to Jacob deGrom and Noah Syndergaard, Zack Wheeler remains as the final big trade piece the team holds. 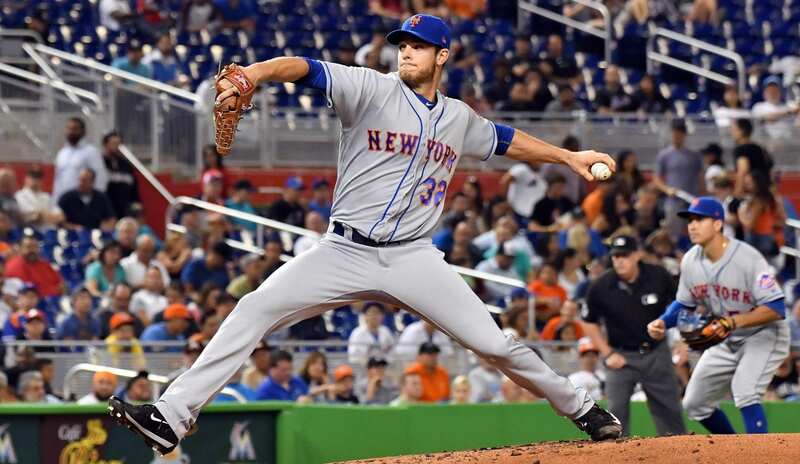 Wheeler has molded into the great pitcher he was projected to be and will likely draw a lot in return. The Yankees, Phillies, Braves and Brewers have emerged as the top four landing spots for Wheeler. Jose Bautista and Devin Mesoraco are also possible players on the move, but trade talks have been quiet for them. After Asdrubal Cabrera was shipped to the Phillies, Jeff McNeil has been handed a chance to show what he can do at the major league level. McNeil has gone 3-12 in his short big league stint so far but has a .500 on-base percentage. The second base position will be a revolving door for the rest of the season until someone starts to show they can hit at a consistent pace. Phil Evans and Jose Reyes will certainly get a fair shot to hold down the spot as well. If the Mets and Baltimore Orioles hold the top two spots for the biggest mess of 2018, the Nationals are secure in the third spot. The superstars on the team do not hustle, there is fighting in the dugout and all the fingers are being pointed at rookie manager Dave Martinez. The clubhouse is controlled by the selfish and polarizing personalities of Bryce Harper and Trea Turner. Both players have incredible talent but it is clear Harper is looking past 2018 and both players put themselves ahead of their teammates. The Nationals were predicted to be World Series champions at the beginning of the season but they have looked far from that all season. In a year full of disappointment, they have received a wonderful season from 19-year old rookie Juan Soto. Soto has bursted on to the seen putting up a slash line of .310/.418/.567 and will likely be the NL Rookie of the Year. He also gives the Nationals insurance if Harper decided to leave in the off season.